Can you describe how the flavor of halibut differs from red snapper? How Brie differs from cheddar? For most of us, unfortunately, the answer is: no, not really. Flavor remains a vague, undeveloped concept we don’t know enough about to describe–or appreciate–fully. In FLAVOR, Bob Holmes shows us just how much we’re missing. He tackles questions like why cake tastes sweetest on white plates, how wine experts’ eyes fool their noses, and how language affects flavor. He peers over the shoulders of fascinating food professionals engineering the perfect snack, chefs seeking surprising new flavor combinations, and even mathematicians pursuing the perfect pizza topping. 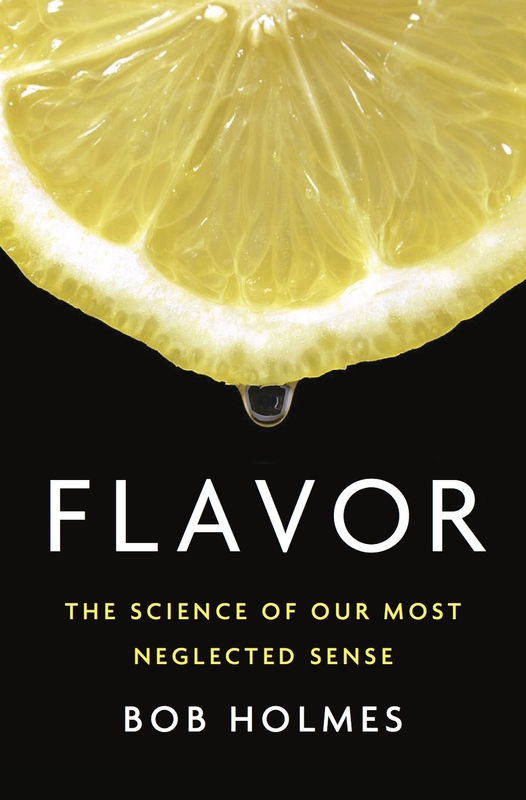 He reveals how we can all sharpen our senses using professional techniques to name and describe flavors articulately. Whether you’re someone who likes to cook creatively, delve into cutting-edge science, explore nutrition trends, or just eat, FLAVOR will open your mind and palate to a vast and exciting sensory world.